I love it when a new character comes along and lights my fire. Punk Mambo would be just such a character. Born in the pages of Shadowman, she is Peter Milligan’s baby. She’s definitely got spit and fire. She’s also got a cavalcade of dark magic that could totally melt your face. The best part about her is that she marches to the beat of her own strange drum. I reviewed the one-shot out tomorrow by Valiant, and this would qualify as a great girl story. You can read my full review HERE. And in case you missed it, I reviewed the final issue of Azzarello and Chiang’s Wonder Woman a couple of weeks ago. You will not be at all surprised to know that I got a little saucy with it. While you’re there, check Lindsey’s review of Elektra, too. You guys, Robert Gill’s art is baller! 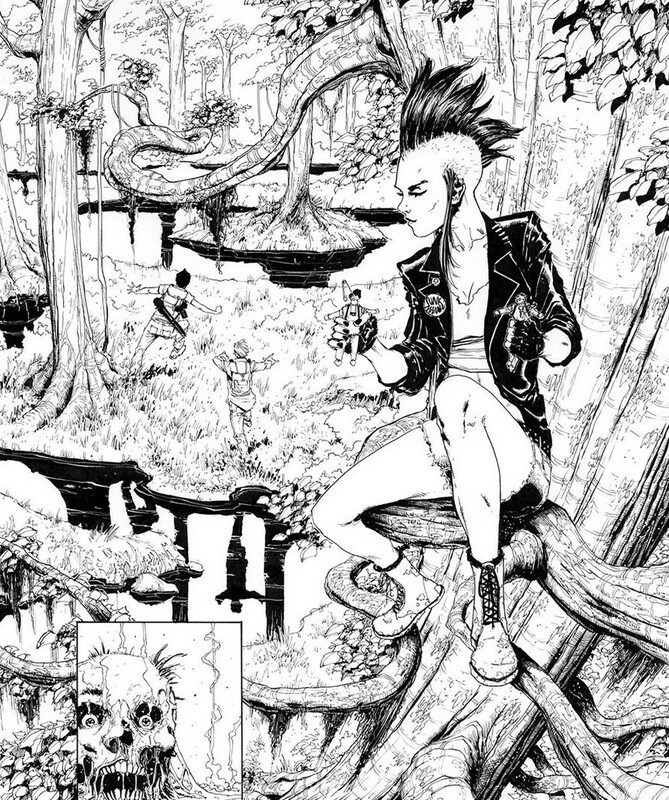 She reminds me at first glance a tad of Tank Girl, another character that I love! Nice pick and thanks for sharing V! p.s. I read your review/recap of Azzarello’s WW run and I agree and thank you for telling the truth about it for it for me as an abysmal disappointment of epic proportions. In short I hate what he did because for me that is NOT Diana/WW.